Temple Hill takes its name from the manor which once stood nearby belonging to the Knights Templar. Temple Hill estate Dartford Council intended to build flats "...to include all modern facilities such as refuse removal, central heating, clothes drying rooms and pram and bicycle stores on the ground floor". Sufficient shops would be provided "to satisfy the immediate needs of the housewife". The first phase of the project at Temple Hill was a triumphant success for the council. 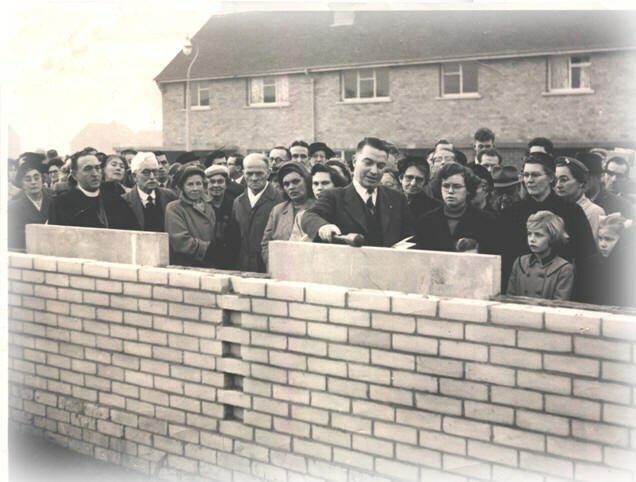 The official opening was conducted by the Prime Minister, Clement Attlee, on 4 June 1947. Attlee declared "We want people to have places they will love; places in which they will be happy and where they will form a community and have a social life and a civic life...Here in Dartford you are setting an example of how this should be done". Temple Hill Baptist Church was built in 1956 as a part of the new model housing estate of Temple Hill. A large area of land to the East of the current building was purchased with a view to creating a community centre at the heart of the estate. The church as it stands today was originally designed to be the church hall. The main church was never built and land reserved for its erection was used to build warden assisted flats (now known as Norwood Court). These flats were managed by the Church and owned by the Baptist Men's Movement Housing Association but have since been sold to private management and are no longer a part of the Church. The cache is overlooked so stealth is required.